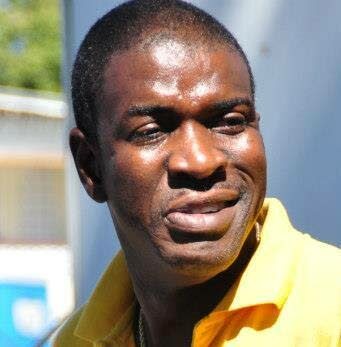 TOBAGO Organisation of the People (TOP) Leader Ashworth Jack has once again thrown his hat in­to the po­lit­i­cal are­na. Once the Tobago House of Assembly (THA) Minority Leader, Jack has announced his re-entry into politics, saying it is appropriate at this time, as he had always promised that on completing personal and business matters, he would return. Speaking at a press conference on Wednesday at Rovanel’s Conference Centre, Jack said: “There are a number of lives you have a responsibility to: one is to your family and their survival. I have always said that there were some personal things that needed to be done and I had made up my mind that once those things were in completed, my time is going to be undivided. TOP is an autonomist political party formed in 2008. It contested the 2009 Tobago House of Assembly (THA) election, winning four out of 12 electoral districts. The party also contested the general election in 2010 winning both the Tobago East and West seats. In January 2013, the party lost by a landslide against the incumbent PNM THA administration, losing the four seats it had previously held, and in 2015 it lost both Tobago seats to the PNM in the general election. The party leader said his involvement in politics began about 40-41 years ago. Now Jack’s TOP is teaming up with two other opposition forces, the Platform of the truth (TPT) led by Hochoy Charles and Tobago Forwards, led by Christlyn Moore, to discuss the way forward for the island’s development. Questioned about this decision, Jack said: “We can continue to play the game of demons and gods, or we can be Tobagonians that say Tobago is bigger than us. We have chosen that, and we hope everyone else understands that… this isn’t about demonising, this is about coming together and building Tobago. Reply to "TOP is back"